New York (VNA) – The Association of Vietnamese Students in the US held a cultural programme called “Vong tay nuoc My” in New York from August 18 – 20. 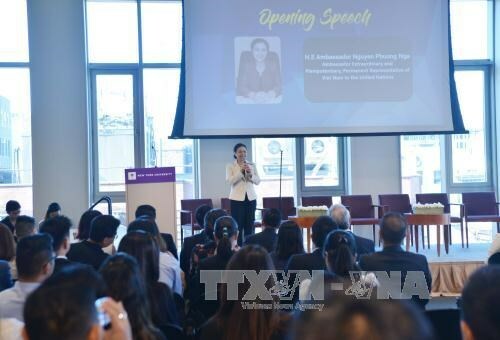 The event, the fifth of its kind, was attended by Vietnamese Ambassador to the US Pham Quang Vinh, Permanent Representative of Vietnam to the UN Ambassador Nguyen Phuong Nga, Vietnamese and local entrepreneurs and Vietnamese students in the US. Vietnamese youths in the US expressed their wish to return home to contribute to Vietnam, Nga told reporters, affirming that they serve as a bridge connecting Vietnam and the US. Various activities were held during the programme, including art shows, sports, a career conference and charity photo exhibitions.